The Gist: Rock and Roll Hall of Fame and Quentin Tarantino on police violence. The Rock and Roll Hall of Fame is the only time we’ll ever have to compare the merits of Steve Miller and Janet Jackson. No contest, right? 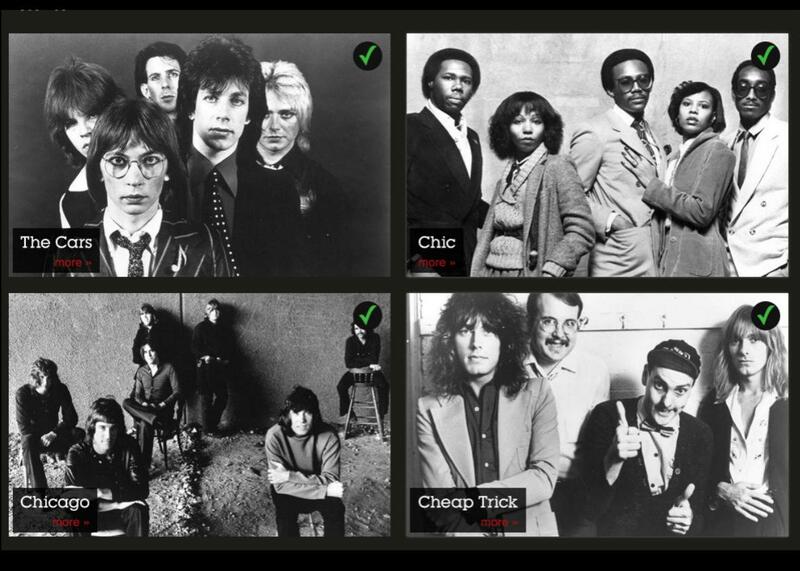 Go ahead and vote for your favorite acts for the Rock Hall, just don’t expect it to count. Screenshot from the Rock Hall website. On The Gist, music writer Chris Molanphy explains why the Rock and Roll Hall of Fame is often frustratingly arbitrary. For example, the millions of fan votes from their website count as much toward the impact on the final selection process as the vote of Geddy Lee from Rush. Molanphy writes Slate’s Why Is That Song No. 1 column, and recently complied his picks in an article “Rock And Roll Hall Of Fame 2016: The Only System We’ve Got.” For the Spiel, Mike investigates the controversy around Quentin Tarantino’s comments on MSNBC. SAP HANA. SAP HANA helps the world’s best companies get the answers they need to become more agile, develop new streams of revenue, and predict the future. Run SAP. And Run Simple. Visit sap.com/reimagine to learn more. RealtyShares. With RealtyShares, you can invest in professionally vetted residential and commercial real estate projects across the United States. Browse all the investments at no cost once you’re qualified, invest as little as $1,000 per transaction, and diversify your portfolio by visiting RealtyShares.com/gist.